The US is demanding that Turkey close a 60-mile stretch of its border with Syria which is the sole remaining crossing point for Isis militants, including some of those involved in the massacre in Paris and other terrorist plots. 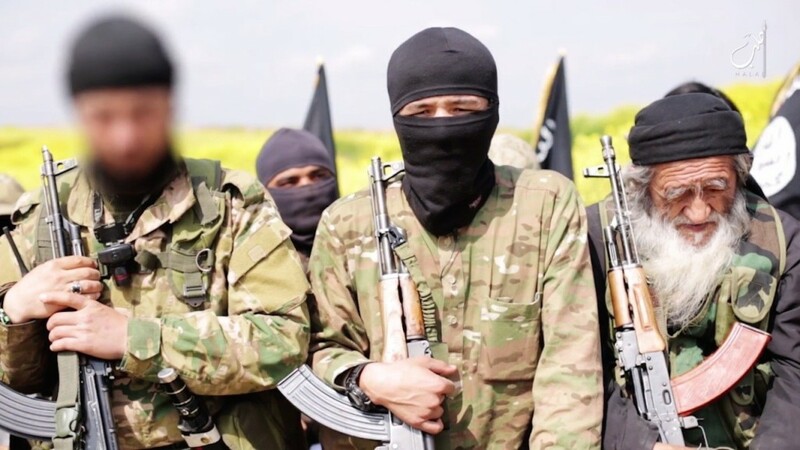 The complete closure of the 550-mile-long border would be a serious blow to Isis, which has brought tens of thousands of Islamist volunteers across the frontier over the past three years. The US estimates some 30,000 Turkish troops would be needed to close the border between Jarabulus on the Euphrates and the town of Kilis, further west in Turkey, according to the paper. US intelligence agencies say that the stretch of frontier most commonly used by Isis is between Jarabulus, where the official border crossing has been closed, and the town of Cobanbey. It has become of crucial importance ever since the Syrian Kurdish forces known as the People’s Protection Units (YPG) captured the border crossing at Tal Abyad, 60 miles north of Isis’s capital of Raqqa in June. Turkey had kept that border crossing open while Isis was in control on the southern side, but immediately closed it when the YPG seized the crossing point. The Turkish authorities are refusing to allow even the bodies of YPG fighters, who are Turkish citizens and were killed fighting Isis, to be taken back across the border into Turkey. The US move follows increasing international criticism of Turkey for what is seen as its long-term tolerance of, and possible complicity with, Isis and other extreme jihadi groups such as al-Qaeda’s branch in Syria, Jabhat al-Nusra Front, and Ahrar al-Sham. Not only have thousands of foreign fighters passed through Turkey on their way to join Isis, but crude oil from oilfields seized by Isis in north-east Syria has been transported to Turkey for sale, providing much of revenue of the self-declared Islamic State. Last week a Turkish court jailed two prominent journalists for publishing pictures of a Turkish truck delivering ammunition to opposition fighters in Syria. President Recep Tayyip Erdogan claimed that the weapons were destined for Turkmen paramilitaries allied to Turkey fighting in Syria, but this was denied by Turkish political leaders close to the Turkmen. Turkey is now under heavy pressure from the US and Russia, with President Vladimir Putin directly accusing Ankara of aiding Isis and al-Qaeda. In the wake of the shooting down of a Russian aircraft by a Turkish jet, Russia is launching heavy air strikes in support of the Syrian army’s advance to control the western end of the Syrian Turkish border. The pro-opposition Syrian Observatory for Human Rights said a Russian air strike on the town of Ariha yesterday killed 18 people and wounded dozens more. Meanwhile Turkey said it had now received the body of the pilot killed when the plane was shot down and would repatriate it to Moscow. The US demand that Turkey finally close the border west of Jarabulus could, if Turkey complies, prove more damaging to Isis than increased air strikes by the US, France and, possibly Britain. The YPG has closed half the Syrian frontier over the last year and defeated an Isis assault aimed at taking another border crossing at Kobani. Syrian Kurdish leaders say they want to advance further west from their front line on the Euphrates and link up with a Kurdish enclave at Afrin. But Turkey insists that it will resist a further YPG advance with military force. Instead, it had proposed a protected zone on the southern side of the border from which Isis would be driven by moderate Syrian opposition fighters. The US has opposed this proposal, suspecting that the Turkish definition of moderates includes those the US is targeting as terrorists. It also appears to be a ploy to stop the YPG, heavily supported by US air power, expanding its de facto state along Turkey’s southern flank. US officials are quoted as saying that there could be “significant blowback” against Turkey by European states if it allows Isis militants to cross from Syria into Turkey and then carry out terrorist outrages in Europe. Meanwhile in Iraq, officials said three more mass graves had been found in the northern town of Sinjar, which Kurdish forces backed by US-led air strikes recaptured from Isis earlier this month. Next IS SYRIA REVIVAL ABOUT BOOTS ON THE GROUND?